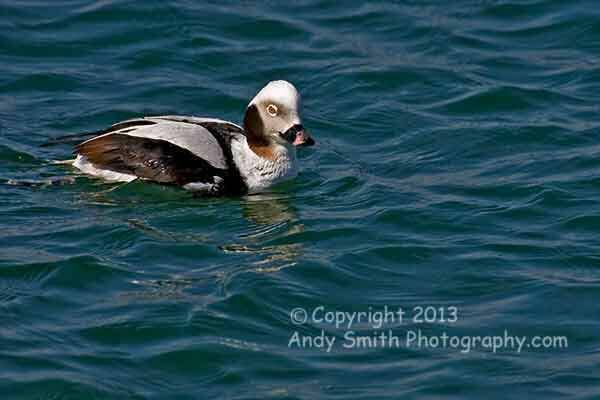 The Long-tailed Duck, Clangula hyemalis, is a heavy bodied sea duck. It breeds on small tundra ponds in Northern Canada but is a regular winter resident along both coasts in the US. This individual male is by the jetty that extends from the Barnegat Lighthouse in New Jersey.